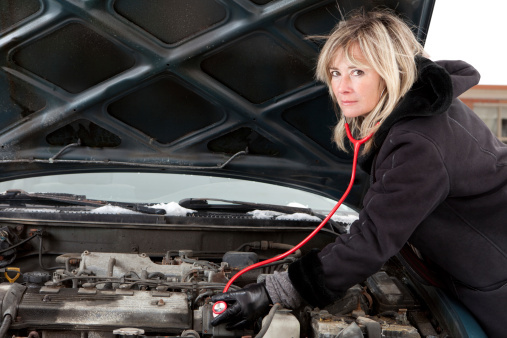 If you hear a squeaking or growling sound coming from the engine compartment, you may have a water pump, belt or another accessory bearing going bad. A screeching sound while rolling or braking could be an indication that you need to replace your brakes or perhaps a wheel bearing is on the way out. A clunking sound over bumps may be an indication of a broken sway bar link or a bad ball joint or bushing. Sometimes you won't be aware of these noises until the first time you drive with your window down. It may be possible to head off a breakdown by taking a pit stop now and have the family truckster or your commuter vehicle given a thorough once over by your service professional, before the weather really starts to crank up.